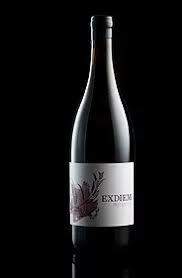 Exdiem wines are a selection of Single Vineyard Wines. The grapes are all from the Wentzel Family’s farm, Vredelus,with its unique soil, climate and location on the foothills of the Langeberg. All these wines are made with minimal interference throughout the vinification. No enzymes, but only natural yeast is used during fermentation and maturation takes place in neutral vessels to bring throught the unique vineyard character. The winemaker is Lourens van der Westhuizen. Macro climate is Mediterranean. Mesoclimate is influenced by everyday South Easter during summer, morning fog in winter, big variation in day, night temperatures, Langeberg and Riviersonderend Mountain range and the position of the farm in a small isolated valley. Nose: Licorice, sea shells, forest floor. Pallet: Full round with lingering mouth feel.